Cracking along the fault Scarp, Petermann Ranges resulting from the Mw6.0 earthquake of 2016. Image: Dr. Dan Clark, Geoscience Australia. The 2016 Peterman Ranges earthquake has questioned the model for intraplate environments, as one of the periodic events occurring on active faults. A collaborative* research project is now helping to evolve our understanding of crustal behaviour and improve seismic hazard assessments across Australia. Late in 2017, a year and a half since the May 2016 Magnitude 6.1 Petermann Ranges earthquake in the Northern Territory, Dan Clark from Geoscience Australia’s Community Safety Division spoke at length on the extraordinary geological findings now being revealed about this event as aftershock data gradually reveals an increasingly complex story. 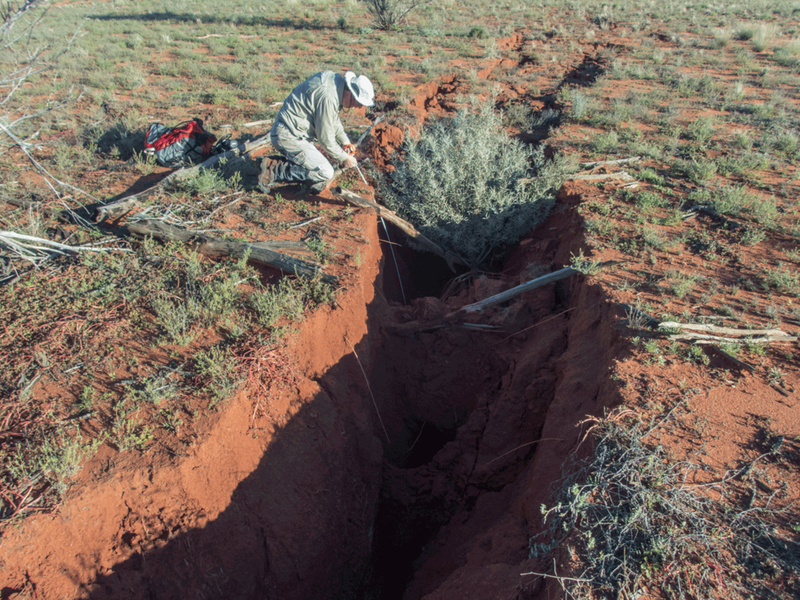 As part of Geoscience Australia’s Distinguished Lecturer Series, Dan described how the developing data set – derived from aftershock measurements – begins to define a previously unanticipated intraplate earthquake of significant magnitude. InSAR interferogram showing the spatial pattern of ground surface movement caused by the the 2016 Petermann Ranges earthquake. Image: Dr. Dan Clark, Geoscience Australia. Using the results of over 200 aftershock events captured with high resolution instruments (with a location uncertainty of only 200m!) and analysed by Gary Gibson (Seismology Principal Research Fellow with the University of Melbourne), it has become clear that not only was the location of the epicentre unanticipated, but so was the fault structure and the resultant ground motion. And, the rock types making up the near-surface geology held none of the expected evidence of past earthquakes. This has led to new conceptual models being built to explain the occurrence of these earthquakes. 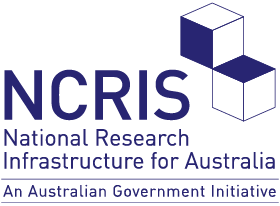 These models are critical to understanding the long-term behaviour of earthquakes in the Australian landscape and have a direct contribution to future national seismic hazard assessments that underpin earthquake-resilient building construction in Australia. For more information about this story, please contact Dr. Dave Belton, AuScope’s Subsurface Observatory program leader at the University of Melbourne.